It's thunder-storming outside which means the other 2/4 children will be hauling it to our bedroom any minute to lay in between us and flail in their sleep. Instead of going to sleep like a responsible adult, I'm just going to play on the interwebs and anticipate the inevitable. 1. Replace water with milk. 2. Replace oil with butter and double the amount. 3. Add an egg. i also added a generous dose of cinnamon (1-2 tablespoons). It was muy bueno all by itself, but, of course, I had to fiddle with it. 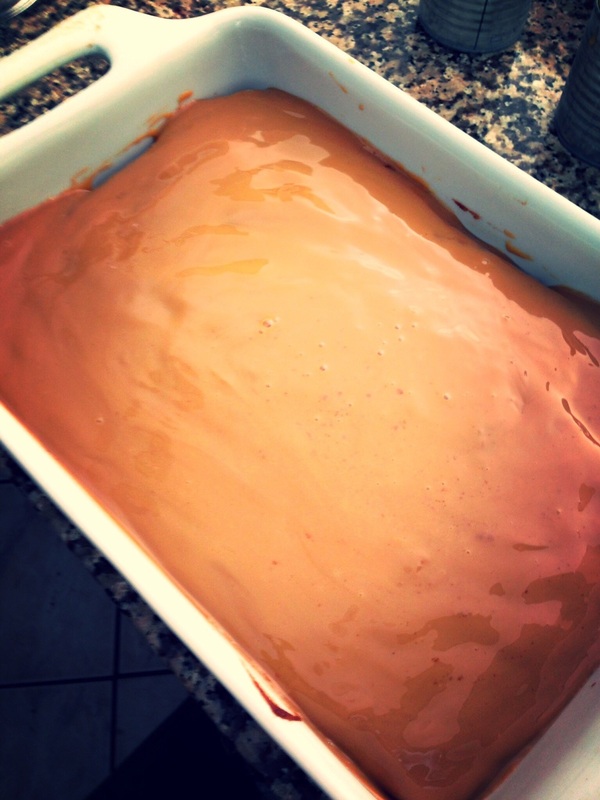 Next stop: homemade dulce de leche. Prepare this first to give it time to cool. Take two cans of sweetened condensed milk, remove the labels, then boil for at least an hour. 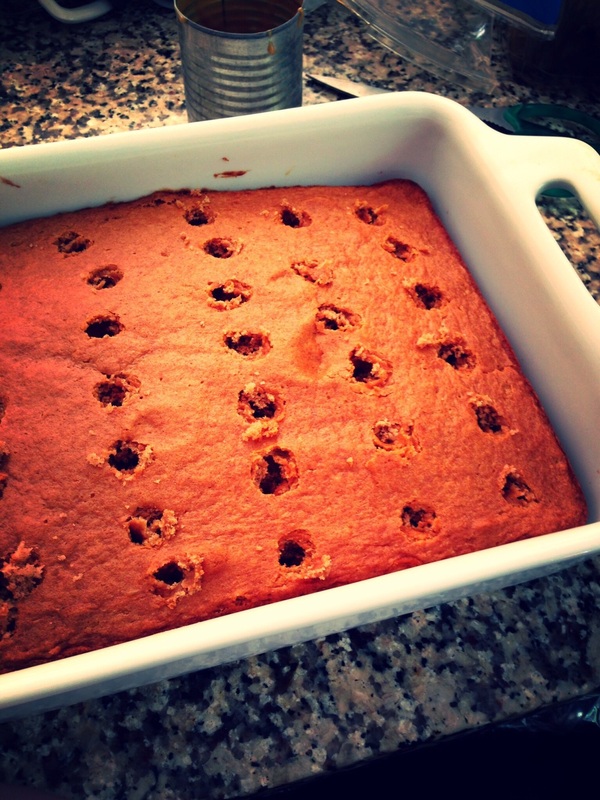 Poke holes in the beautiful cake you just made to give room for this amazingness to seep into the cake. Pour and smooth the caramel. I made a homemade whipped cream with vanilla and bourbon to dress this beauty up a bit. If you have a stand mixer, homemade whipped cream is a breeze. Take a pint of heavy whipping cream and slowly start beating it with the whisk attachment, gradually increasing speed. As the mixture thickens, gradually add extracts (I used about 1 tsp. Vanilla and 1 Tbsp. Bourbon) and sugar (1/4-1/2 cup). Beat until desired consistency is reached. Spread that fluffy goodness all over the warm cinnamon caramel deliciousness and top with tart apples and a light dusting of cinnamon.